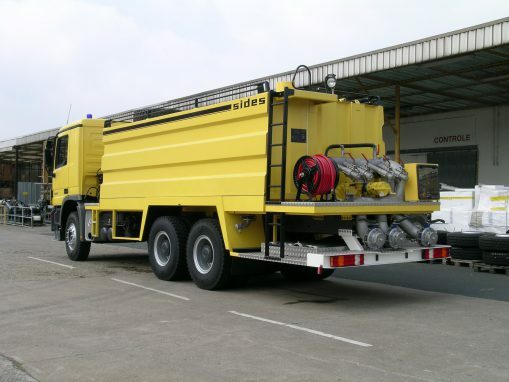 The SIDES STENTOR IN is a multipurpose industrial tank fire fighting vehicle designed to offer effective protection in high areas, like tank farms, refineries, oil terminals, petrochemical plants, industrial sites, ports, commercial and trading areas. 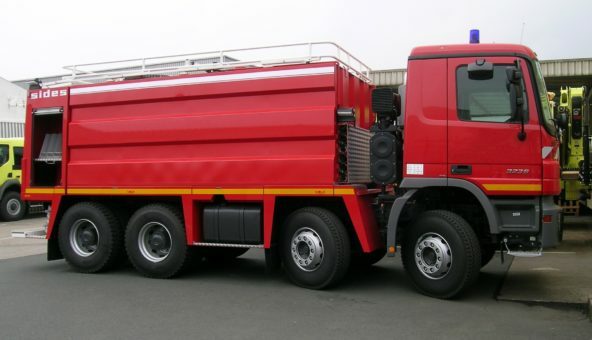 All components of this vehicle result from first class products which have been continuously developed and improved, making the vehicle completely reliable in every working conditions. The IN system: simple and economic proportioning system on discharge line allowing this versatile vehicle to generate foam on dedicated outputs. Industrial hazards come in all shapes and forms, from fires to explosions, all of which require a fast and effective response. The Stentor is designed to provide you with the capability you need to respond quickly and safely to a disaster. 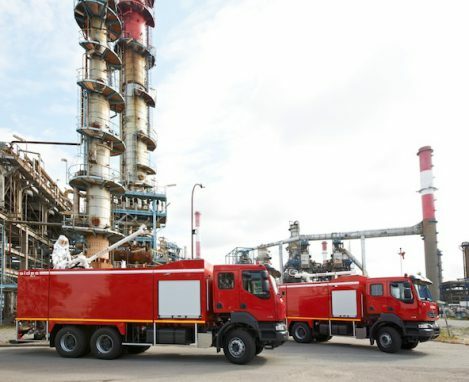 In the industrial environment, response speeds and times vary from one disaster to another. The Stentor is fitted with its own water and foam compound tanks and is also compatible with all external water and foam compound supplies, even in the most challenging operational environments, including groundwater, on-site pressurised supplies and water or foam compound master tankers. 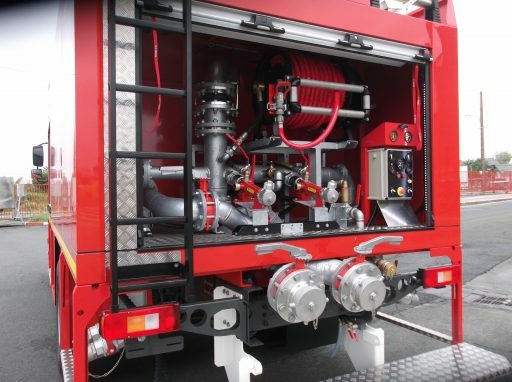 + The IN system: simple and economic proportioning system on discharge line allowing this versatile vehicle to generate foam on dedicated outputs. We have designed Stentor on the basis of our technical expertise, to deliver a vehicle that meets the specific maintenance needs of industrial site protection equipment. We use the same components across the Stentor range. Maintenance operations are therefore identical across all configurations.